“Old-World fruit bomb”, as the Wine Advocate calls it, is about right, but we think it’s come together beautifully in the last year or so in bottle and is just SINGING right now. At $12, it is singing LOUDLY and clearly!! Wow!! 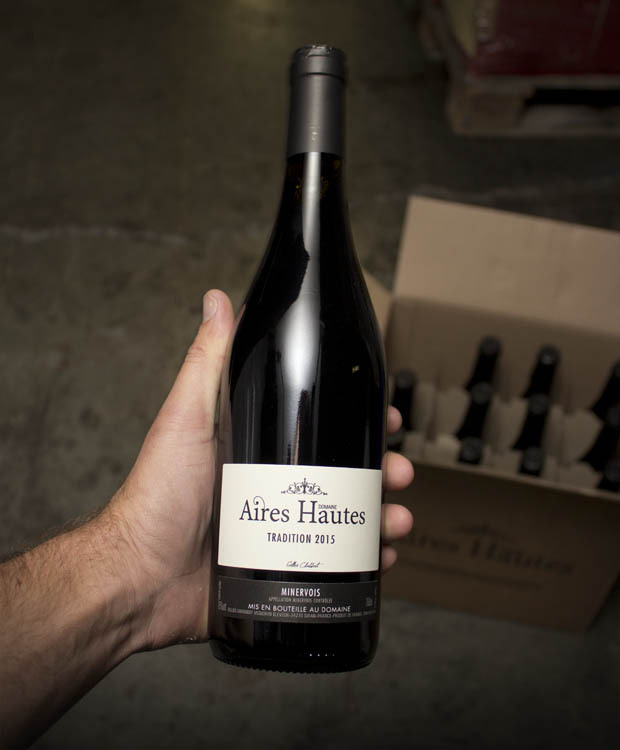 As a family farm, the Domaine des Aires Hautes has set itself ambitious goals: to position each of its products in the top of the range of its category. This is why the work of the winemaker being defined as such, starts at the plot. It is useless indeed, to have an exceptional terroir if it is not highlighted, and this is the responsibility of the winemaker as a craftsman claiming this label. It is in Siran, on the way to Aires, that you will meet Gilles Chabbert. Already three generations of winegrowers! It was his grandfather Edmond, then breeder in the Black Mountain, who inaugurated the first estate in 1938. A few decades later, Gilles joined his older brother Eric, a pharmacist by profession. A brother who does not miss as soon as the opportunity arises to come and relax in Siran and get their hands dirty on this vineyard that fascinates him as much as his brother. Gilles Chabbert has set himself ambitious goals: "Position each of its wines in the top of the range of its category". That's why his work starts at the plot. The amendments are made from grape marc. Three to four times a year, plowing is carried out with decavaillonnage on a part of the vines. The entire production is harvested by hand and completely scraped. Its entire range of wines is made with the desire to express the greatest maturity of the fruit. And in this Gilles Chabbert can count on the advice of the oenologist Eugène Sanchez, with whom he works since the beginning.